Had a great weekend with Daniel Berio and Daan Brinkmann, building and programming a spraypaint tool for streetplotter Chalky together. 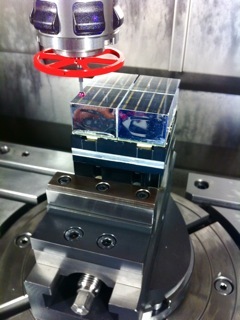 You are looking at a close-up of a CNC mill with a 3D measuring probe in its turret. In the vice is a TOF-PET detector module with scintilator crystals on top. In other words; a medical PET imaging camera; a lot of these would make a a hospital PET-ring scanner. That's very odd, because normally you would mill metal like stainless steel on this machine. But it also functions as a decent measuring portal, to get an idea about the alignment of the crystals. CMM stands for coordinate measuring machine. 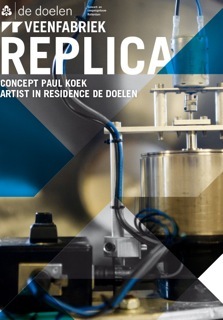 Replica is the name of a new concert by the Veenfabriek in the Doelen, Rotterdam, on october 26. The new digitallized sirens can be heard for the first time in this new piece. 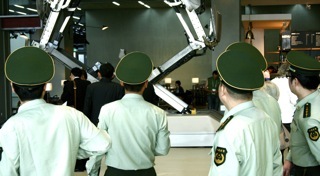 I am in Shanghai installing the Totemobile, together with the team of Amorphic Robot Works. 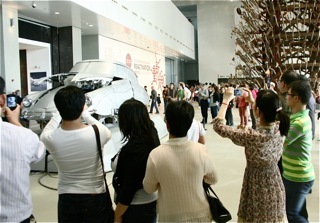 The show is part of the Shanghai biennale festival '12. The new venue is called The Powerstation of Art. 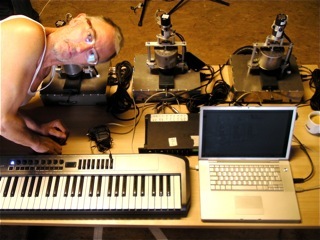 In the picture you see Paul Koek showing of with his new digital siren setup. It's a siren quartet with computerized controls. These instruments are part of the siren-orchestra; a set of 8 siren-instruments developed and built by me. The Siren-orchestra is part of the Veenfabriek. The Totemobile by Amorphic Robot Works NY was showed at Todays Art '11. Right now we are doing repairs and enhancements to this artwork. 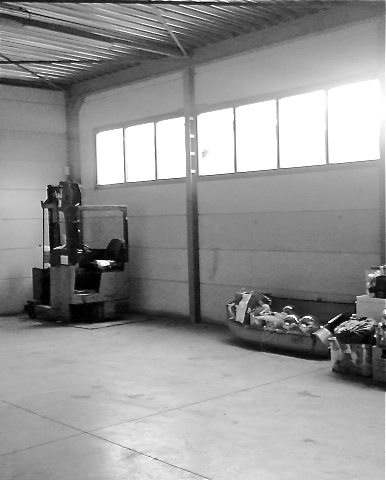 We are working with a team of 6 at the storage of Pieter Smit in Nieuw Vennep. 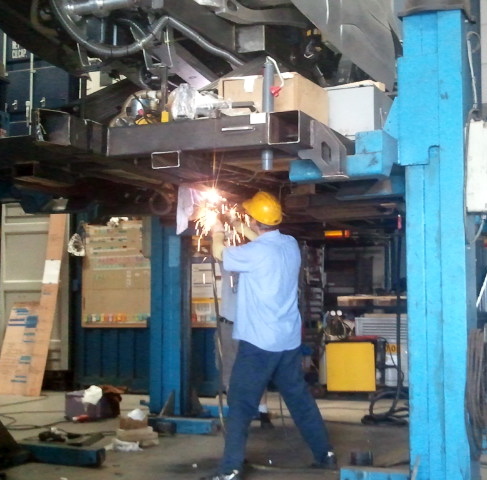 In the picture you can see Bruce, plasmacutting on the baseframe. 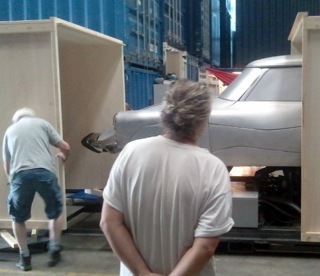 The Totemobile will be airfreighted to Shanghai, China. I'm working on several projects at the moment. Together with Daan Brinkmann I am working on Chalk-E; An enormous plotter printing artwork on squares and streets with chalk. This project will stay of internet and other media untill it is launched. 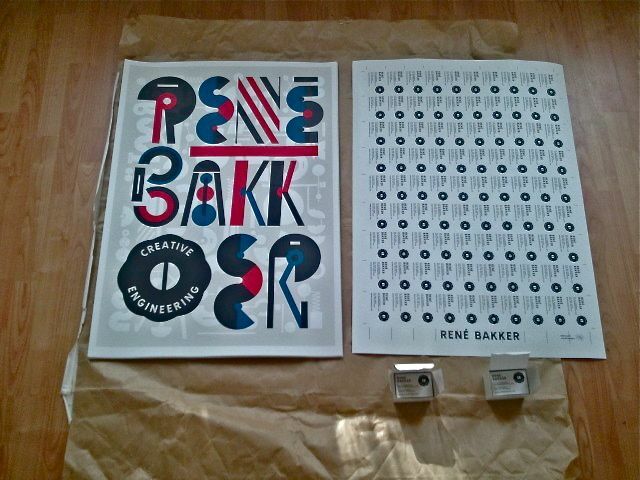 Preparations are made for continuation of the 3D sandprinter, The Totemobile and the Siren-orchestra. 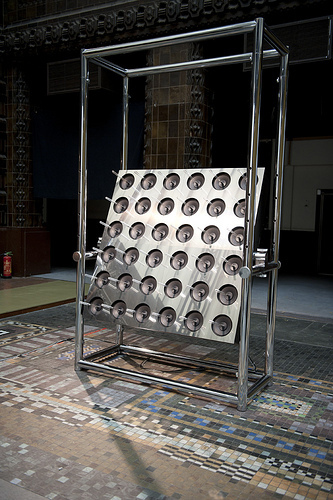 ideofoon 1 is shown at the DEAF festival in Rotterdam. The location is the old post CS building. It is a wonderful exhibition. You can visit it untill may 20. 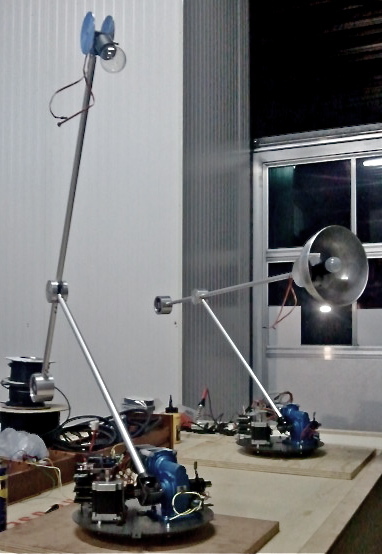 At the moment I am building two robotic lights. The project is called Res Sapiens. The lights will expres emotions by moving around and holding all sorts of positions. The emotions will be based on local and worldwide Twitterfeeds. 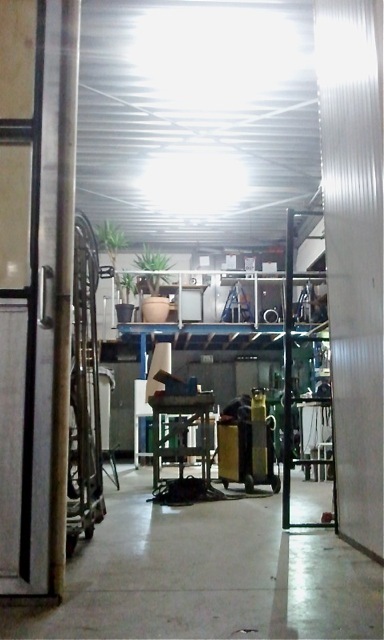 I will move my studio and workshop to a new place in Den Haag. It is on groundlevel, with windows on the south, a slick concrete floor, lots of height and floorspace. The new address is Park Nabij 8b 2491 EG Den Haag. Once I'm all settled I will invite everybody for a nice opening.